A 29-year-old man has been banned from the road for more than four years after members of the public saw him drink-driving towards oncoming traffic in Eastbourne. 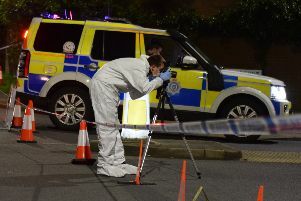 At 3.30pm on Sunday (March 29) police were called by a man who reported that a Renault Clio was being driven on the wrong side of the road in Royal Parade. When officers caught up with Danny Stone in Seaside, the driver almost fell out of his car. He was found to have 94 microgrammes of alcohol per 100 millilitres of his breath - almost three times the 35 microgrammes legal limit. Stone, of Balfour Road, Bromley, Kent, pleaded guilty to drink-driving and possession of cannabis when he appeared at Brighton Magistrates’ Court on March 31. He was banned from driving for 50 months, ordered to do 120 hours of community service and told to pay a £73 fine, £85 court costs and a £60 victim surcharge. Inspector Rachel Barrow said, “It was thanks to a vigilant member of the public and their quick thinking that we managed to get the vehicle stopped safely without incident. To keep up to date with officers looking for drug drivers, follow #opdragonfly on Twitter.